Not being a requirement is not the same as being irrelevant, but perhaps my English is off again. Also, if something is valuable for Dzogchen practice is it then correct to call it irrelevant for Dzogchen practice? Perhaps I am being picky but it just doesn't sound right to me. That part is clear enough, but this relation to Mahayoga/Anuyoga that is so valuable and still irrelevant leaves a lot of questions. Not for me. Mahayoga and Anuyoga are not my path. They can be someone elses path, but they are not mine. Malcolm wrote: Not for me. Mahayoga and Anuyoga are not my path. They can be someone elses path, but they are not mine. In that case your opinions on this subject are, with all respect, irrelevant. yes it is. exactly so, in fact. "...having no bearing on or connection with the subject at issue;"
heart wrote: but perhaps my English is off again. heart wrote: Also, if something is valuable for Dzogchen practice is it then correct to call it irrelevant for Dzogchen practice? yes. because of the above. honestly? i think you're nit-picking and are aware that you are, like a tooth that bothers you, that you can't let go of. My Guru is in town, don't have much time to answer. I certainly feel you are limiting yourself in a way that in my experience isn't very helpful, but I do wish you good luck. In your opinion, in general which kind of practicioners progress better today - the ones who start with the Dzogchen and practice only Dzogchen methods, or the ones who went thru Ngondro, Three Roots and then approach Dzogchen? What is your experience? My opinion is that those people who receive Dzogchen teachings, and then practice Ngondro, three roots, etc., make the best progress, while at the same time practicing methods from Dzogchen. You know that's Malcom's blog, right, rai? Dechen Norbu wrote: You know that's Malcom's blog, right, rai? The answer is that I have changed my mind. I don't support that position anymore. You said it a few times already in this board and gave a quite eloquent explanation about the reasons that lead to such change. I was wondering if he knows he is talking about the same person. So far, I have seen no proof that Dzogchen isn't a part of the Buddha's Dharma and as some people try to claim it is a foreign teaching inserted in to the Buddha's Dharma. 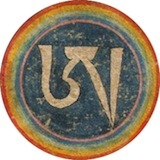 Dzogchen contains special methods just like all yanas contain special methods. Certainly I believe Dzogchen can be a independent path but it is still the Buddha's Dharma since all the twelve Dzogchen Buddha's taught Dzogchen in the conest of Buddha Dharma. Malcolm say that there is no proof Buddha taught Dzogchen but in his comment on the Narag Tongtrug ChNNR say that Buddha Shakyamuni taught the Manjusri Tantra with Dzogchen instructions. The oldest text we have mentioning Dzogchen are Mahayoga texts like the Guhyagharbha Tantra and "Questions and answers on Vajrasattva" from the Duanhang documents. My personal view of this, until any better proofs comes, is that the three inner Tantras are inseparable and have the same source. So while the two stages are not absolutely necessary, since I don't much buy in to to the ladder theory, they are definitely a part of the context of the Dzogchen teachings. As Manjusrimitra writes ""I am Manjushrimitra, who has attained the siddhi of Yamantaka". So there you got it, my hurting tooth is basically that you guys have nothing but blind faith to counter this. I don't understand what you mean by Buddha's Dharma. Which Buddha's Dharma? The one accepted by which school? Theravadins? Mahayanists? Ch'an, Zen, Pure Land Buddhism? The Gelugpas? Sakyapas, Kagyupas, Nyingmapas? Which? Are you talking about what exactly? Dzogchen is the Buddhas's Dharma in the sense that it is a path to Buddhahood. Are you saying it is also Buddhist? If so, it would be prudent for you to inform us which kind of Buddhism are you referring to so that we can know. heart wrote: So far, I have seen no proof that Dzogchen isn't a part of the Buddha's Dharma and as some people try to claim it is a foreign teaching inserted in to the Buddha's Dharma. Dzogchen contains special methods just like all yanas contain special methods. Certainly I believe Dzogchen can be a independent path but it is still the Buddha's Dharma since all the twelve Dzogchen Buddha's taught Dzogchen in the conest of Buddha Dharma. Malcolm say that there is no proof Buddha taught Dzogchen but in his comment on the Narag Tongtrug ChNNR say that Buddha Shakyamuni taught the Manjusri Tantra with Dzogchen instructions. The oldest text we have mentioning Dzogchen are Mahayoga texts like the Guhyagharbha Tantra and "Questions and answers on Vajrasattva" from the Duanhang documents. My personal view of this, until any better proofs comes, is that the three inner Tantras are inseparable and have the same source. So while the two stages are not absolutely necessary, since I don't much buy in to to the ladder theory, they are definitely a part of the context of the Dzogchen teachings. As Manjusrimitra writes ""I am Manjushrimitra, who has attained the siddhi of Yamantaka". So there you got it, my hurting tooth is basically that you guys have nothing but blind faith to counter this. I am starting to think too much emphasis is being placed on these labels from both sides of this dialogue. Since the word Buddha is just a referent for a fully realized being, I wonder if people would still argue with the statement dropping all foreign words (hahaha except Dzogchen, since all of us in the Dzogchen forum are so attached to that one! ): "Dzogchen is the truth (dharma) expressed by fully realized beings (Buddhas)". Ok, let's try it again, without the parenthesis! "Dzogchen is the truth expressed by fully realized beings". Is it at all controversial? I am sure at least you and I agree that it is not Magnus. Hopefully nobody else finds it such! Ok, let's take it a step further: "Fully realized beings also expressed things differently when trying to communicate the truth, so that different types of people could relate to the truth based on where their minds were at". Ok.. then we are back to the 9 yana system, or whatever equivalent there may be in the past or future or in other world systems.. it really does seem quite basic. Dechen Norbu wrote: I don't understand what you mean by Buddha's Dharma. Which Buddha's Dharma? The one accepted by which school? Theravadins? Mahayanists? Ch'an, Zen, Pure Land Buddhism? The Gelugpas? Sakyapas, Kagyupas, Nyingmapas? Which? Are you talking about what exactly? Dzogchen is the Buddhas's Dharma in the sense that it is a path to Buddhahood. Are you saying it is also Buddhist? If so, it would be prudent for you to inform us which kind of Buddhism are you referring to so that we can know. 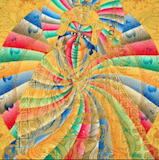 You can take your pick which list of Buddhas you subscribe to, there are several, but since you are Dzogchen practitioner I would guess you would see my post in the perspective of the 12 Dzogchen Buddhas. Buddhist is just a label for people having faith in the Buddha's teaching at this time and place. Buddha's don't teach religion they teach methods for attaining Buddhahood. Dzogchen is one of these methods. You agree? Yes, it is quite simple. In truth the 9 yanas is probably a simplification of the vast numbers of yanas the Buddhas teach. Are all these yanas related? Yes, because they have the same source, the Buddha's realization. So we can call them the Buddha's Dharma or Buddhism or Bon or something else. If someone other than Dechen Norbu can reply...no.I dont agree at all. At best Buddhism can be a vehicle for Dzogchen. More frequently it is a potential block to Dzogchen. Dzogchen teachings are (since you are talking about method). I have no beef if you consider Dzogchen the teachings of the Buddhas, or teachings to realize Buddhahood. I think everyone would agree with such point.